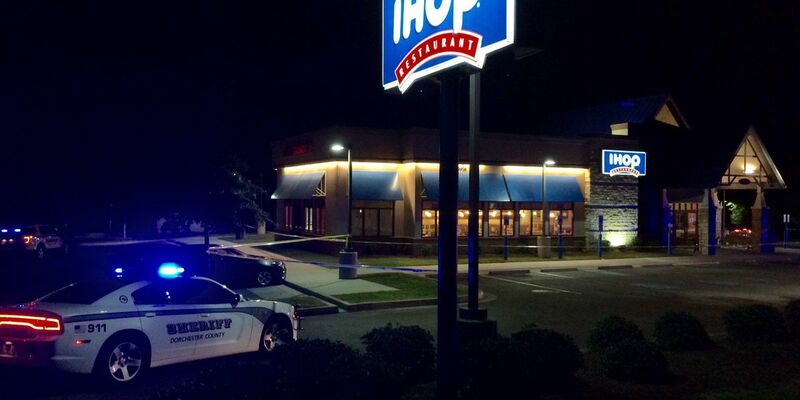 DORCHESTER COUNTY, SC (WCSC) - The Dorchester County Coroner's Office says a man died on Thursday following a shooting at a Summerville IHOP this past weekend. Authorities say 22-year-old Brannon Mack of Summerville died at Trident Medical Center at 3:23 p.m. on Thursday. Charleston County Dispatch says the call for the Sunday shooting came in around 3:45 a.m. According to deputies, two people were taken to an area hospital with gunshot wounds after an incident in the IHOP bathroom on Dorchester Road. The shooting appears to be the result of a disagreement or fight between two groups of people, Captain Toney Phinney with Dorchester County says. Phinney believes the shooting was a "two versus one" scenario. The third person involved fled the scene before deputies arrived. The incident happened not far from the scene of a possible shooting that had Trolley Road at Travelers Boulevard blocked off early Sunday morning. The Dorchester County Sheriff's Office does not believe the incidents are related.